When i was ill after having Tilda, i completely lost all interest in the kitchen and making meals. it soon developed into a phobia of the kitchen and for 3 years i wouldn't even go into the kitchen to put the washing in the machine. At a recent medical assessment it was bought up about me have claustrophobia and the fear of being in such a small room. At the beginning of September i had starting a local cooking class, just one day a week and i am slowly learning to enjoy cooking again. The best thing is that its cooking from scratch so its healthy. We started off cooking things like eggs, i had never been able to make an omelette - it always turned into scrambled eggs. But i learned to do an omelette and even a spanish omelette, which makes a whole meal in itself and its fab for using up leftovers. over the weeks i have learned to make lasagne from scratch, bread rolls, carrot cakes, fruit filo parcels but the one i was most excited about was today. We didnt know what we were cooking untill we got there and then we were told it was a chicken stew. My first thought was how boring stew always is, but as we got on with it and we made a stew with veg we would never normally use it suddenly got more exciting to eat. We used ingredients such as pumpkin, but not an orange pumpkin that you use at halloween as they are watery and tastless (explains why when we have made pumpkin soup in the past, its been horrible and bland). We used a pumpkin called a 'crown prince' pumpkin. who ever knew there was more than one pumpkin. We also used swede, carrots, potatoes, celery, onion. 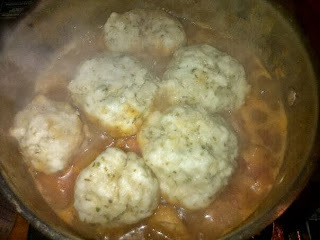 we all cooked our stew to perfection and then made the dumplings from scratch and added herbs to them. 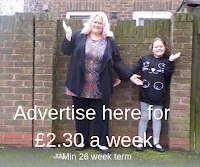 i was so pleased with my acheivement and was determined to go home and go into my kitchen and make a meal for lunch. So with kim at my side we made omelette for lunch and for Tilly for after school and then went on to make a carrot cake. Carrot cake is so healthy and a clever way to get veg into your kids without them realising lol.